This post originally ran September 15, 2014. 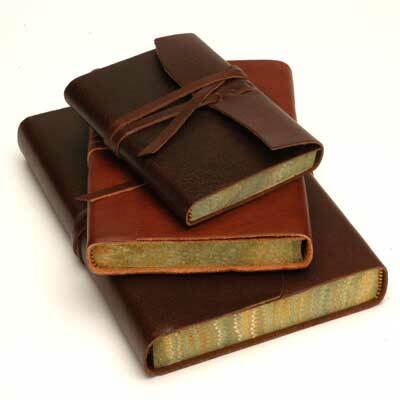 I used to scoff at the idea of keeping a book journal. What was the point? I used to think. I’ll read the books I read, hell, when I was younger I would devour them, spine and all, pick my teeth with their bindings to dislodge letters stuck between my teeth, as I raced on to the next one, without stopping, without considering. When you’re young and only have to worry about school and chores, well, you can read a lot of books; it never occurred to me to record them. But then you start growing up and life begins getting in the way. Jobs call for your attention even at home, homework piles up, applications join the stacks of paper in your room, relationships blossom and end, and all the while, reading time starts to dwindle. Suddenly, you seize upon that precious time like a lifesaver on a roiling ocean, and you read when you can. Which is to say, I started keeping a book journal last year, because I could not for the life of me remember what I had read! I was consuming so much so quickly, in that precious spare time that I didn’t know what I’d read against what I hadn’t. Furthermore, I’d begun to grow curious: What kind of reader was I? Who did I read the most? What kind of books, what kind of writers did I reach for immediately, and what did that say about my reading habits? Hell, how many books did I read in a year of adult living? Last year, from January 2013 to December 2013, I managed to read about thirty books, many of them various shades of fantasy and science fiction, with a 60/40 split between men and women authors. As far as diversity went, 2013 wasn’t bad, per se. I read a little outside my beloved genres and had a good amount of women writers and writers of color. But it could be a hell of a lot better. Shoot for fifty-two books within the year. Every time I finish a book, I look at what I’ve read before and compare notes: Last few books were epic fantasy? Time to switch it up, and grab Roxane Gay’s Bad Feminist. I haven’t read any poetry in two months? Time for that Kevin Powers collection! No science fiction since Ann Leckie’s Ancillary Justice? Time to grab Samuel R. Delany’s Babel-17! As of this post, I’ve been keeping to those goals pretty well! (Though, if I make fifty-two books this year, it’s going to be a miracle and a half, somewhere around thirty-one right now). The journal ensures I’m balancing my reading by trying new books, new authors and new genres, pushing me out of my comfort zone. I don’t want to just read the same things over and over again, that’d be boring! And thanks to journaling, I’m not. It’s not the Be All, End All of cataloguing, but it helps me keep track of my year, my books, and helps me read widely and diversely. How about you? Do you journal/track your books? Has it been helpful?